Camersoft Skype Video Recorder 3.2.86 - Download Win Apps. Camersoft Skype Recorder could record skype video and convert videos..
CSVR is an excellent tool for you to record Skype Webcam Video during your Skype conversation. It could record Skype video and Skype audio then encode into AVI movie files, which you could playback on your PC any time. You could complete one Skype video recording with, only a few mouse clicks. 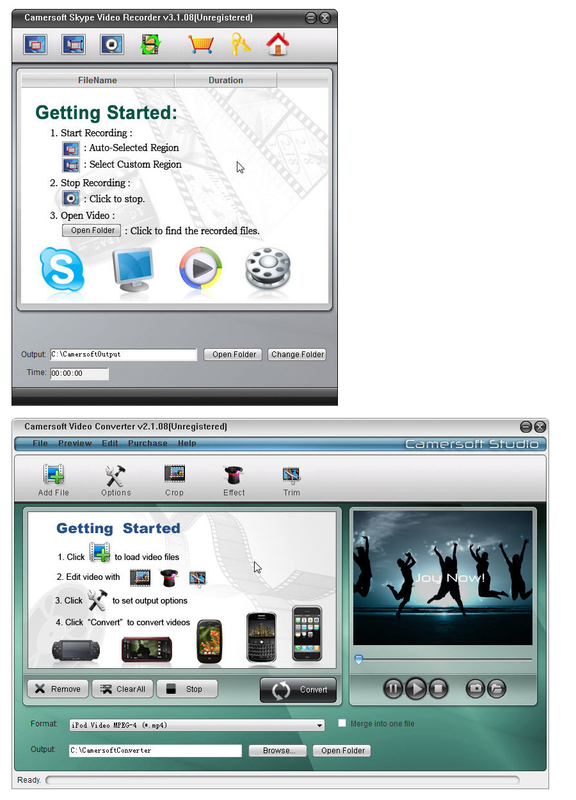 It could also work as Video Converter for you to convert video to many other formats.